Well, of course, to say this collection from Graphic 45 is right up my alley would be and understatement. 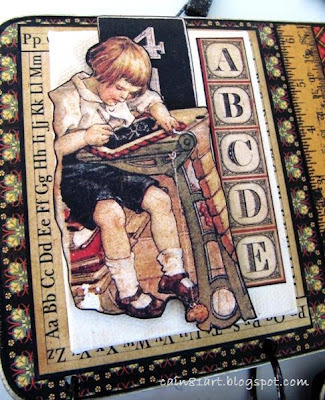 I don't know how I resisted cutting into these papers as long as I did, but here is what finally came to bear from my thoughts and ideas, my collaboration with the Man with the Tools, and some help from a really cool cabinet I found at Gordman's. It was black and had just the middle section when I found it. The bottom portion I've hoarded for a "decade".....as Erin and I clarified yesterday for meaning when I told her "I'd been experimenting and dying my hair for decades, so I KNEW what I was doing!" The top pieces were a laser-cut wooden frame I cut apart with Bill's help. It's painted with Liquid Pearls. You can see the fussy-cut Butterflies here and there accented with Glossy Accents. This detail shows the Cash Keys on Link Chain with Screw Eyes to form a dangle. Lots of different types of bottles and some actual vintage "lick and stick" labels here in the right hand corner. I bought them many years ago...site unknown at this moment! The G45 labels are cut and many are colored with TomBow markers, some are left alone with just a bit of Distress Inks for depth. I LOVE the Eyes and Glasses. A bit of color to make them stand out more. That is done to ALL the papers that are fussy-cut. So you will see a definite difference in how they began generally. 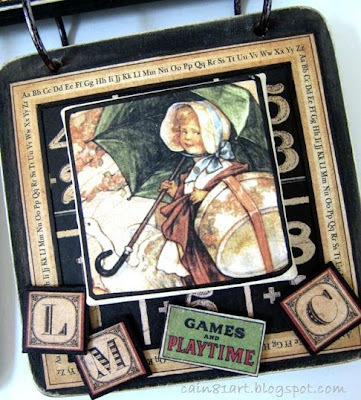 The Tim Holtz PulleyWheels have a chain and jump ring attached to the Flying Pig and the Clock Key. They're attached with a screw eye in the middle for stability. When coloring the papers, I usually use the same color pens and just add more color + shadows. 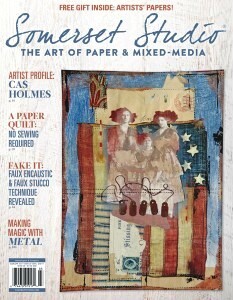 There are lots of papers and stickers layered up with chipboard all over the piece. 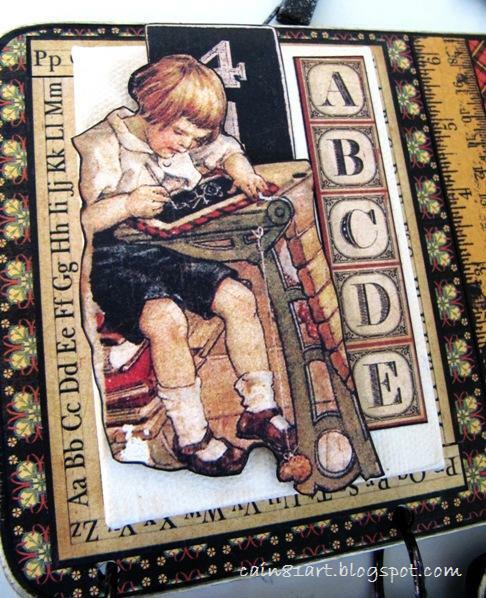 The Diamond paper is one of my all-time favorites for background from Communique and trim pieces from Bird Song and Playtimes Past. There's also Staples Flowers and Stamped Metal Brads thrown in here and there. Just another shot of the top. The colors are REALLY enhanced with the Glossy Accents and markers. The Death Microbe bottle on the top right is an actual vintage bottle and cork with some sort or "residue" still in it....ew. The label is cut from G45 papers though. And these are the flowers on the back. This bottom piece was an old bath salts box. And had to show you this shot of the birdcage! It's one of my favorite elements. That's all I can think of, if you have any questions, just email or shoot me a question on FB. I've been trying to answer them as best I can. So don't give up. It's been a really busy week around here...soccer, cleaning out the garden (it needed cutting back badly) and working on a project I absolutely LOVED to do. Then I got a couple of great surprise packages, too. From the delightful Gloria Alexander I got this wonderful pile of vintage barbed wire. Can you believe it???? 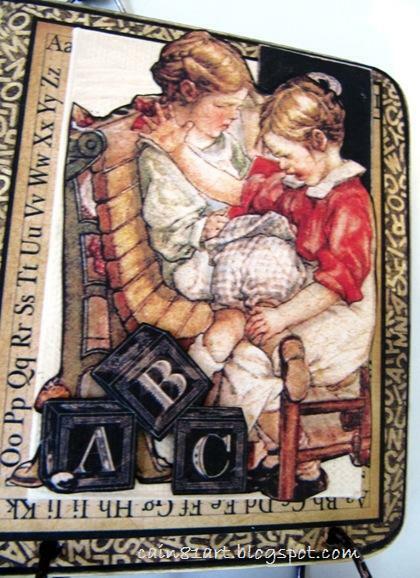 Then I got this AMAZING ATC from the talented Kelsey O'Mullane. These little Angels have been a favorite of mine forever. And she is brilliant with her style. She's also the originator of the "transdermal applicator" phrase for you finger. She sent me some gorgeous background papers as well. I took 3 fantastic classes from Pumpkin Glass over the course of 8 days and LOVED every stinkin' minute of them. 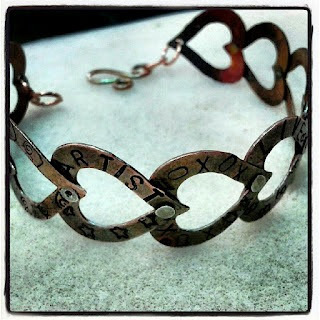 This was the first bracelet we made by stamping into copper and learning 2 types of cold connections. Very Cool design from Teresa! This is the copper cuff bracelet I made with sterling wire and soldering on the back to hold the wire for the stone. We used Vintaj embossing folders to emboss the silver strip, and soldered it onto the cuff. Then we soldered the wire on the back with the torch (in the background) and different levels of solder. The last was solder from a hypodermic-looking tube shown on the right. Then we clean and polish it and lay the stone in. Last we bend the wires to hold it in place. So intense, but wonderfully fulfilling when you're done. AND.... THE project. OMG!!! I had so much fun with this one. 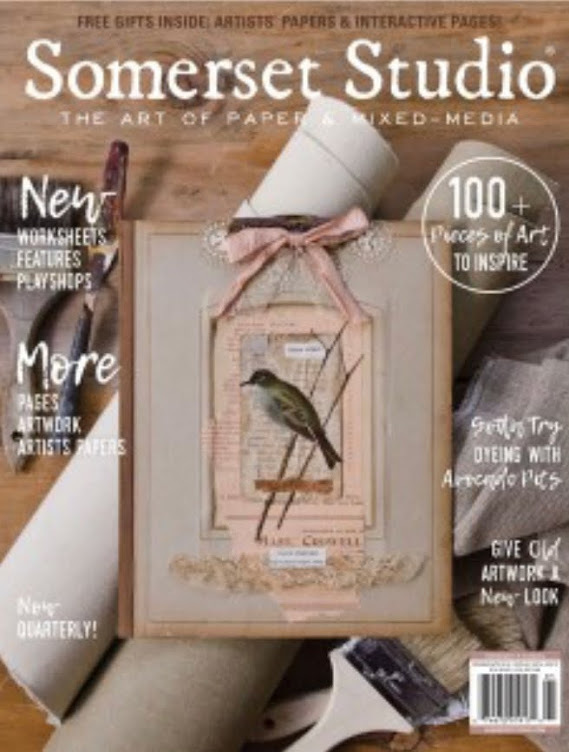 It's my favorite collection (today) from Graphic 45! but for now, here is a peek at the lower front section...the back and sides are pretty fun, too! So have a good one, and I'll be back with more...must go pick up Erin and dye her hair with Cherry Kool-Aid for the soccer tournament. Here's the finished project! It will be fun for the Soccer Girls this weekend! And yes, Bill, it just washes out...it's OK, really, it's OK! Geez, grandpa!!! Give-Away Winners and Jewelry FUN! This is for my dear granddaughter Britta Haifa, who made her plea "I hope some of that Halloween stuff you're making is going to come my way!" 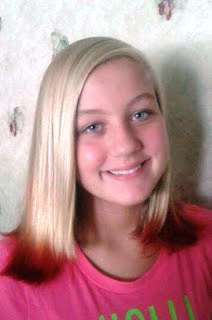 I'm paraphrasing, but, she loves Halloween...she's my little Ghoulie. 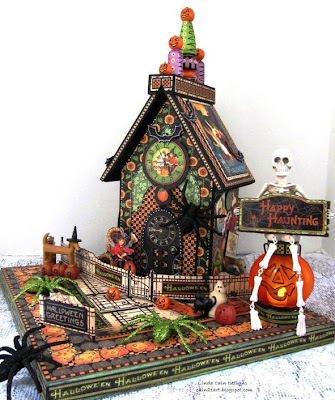 I used the new Mini Halloween and Apothecary stamp sets from Tim Holtz here. The little bottles have Poison stamped on white copy paper with Seedless Preserves and embossed for the label. Espresso and Rust Alcohol Inks are swirled inside for color. Then Ripe Persimmon and Vintage Photo Distress Inks make it more grungy. I bent wire to make the hangers for the Light Bulbs and added Butterscotch and Lettuce Alcohol Inks. They're all added with Jump Rings onto a Link Chain. Pretty easy stuff here. I made the ear wires and used silver jump rings for the earrings. Last night I took the most wonderful class at Pumplin Glass Gallery in Morton, IL. 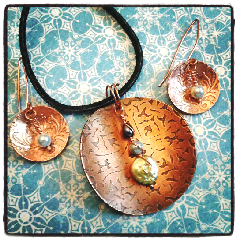 We learned to etch with Etchant onto copper and wire wrap around pearls. 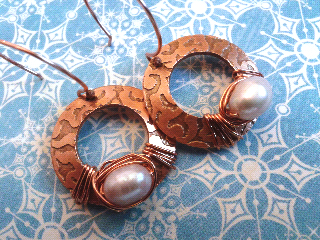 These round ear wires were very cool to make. Something quite new for me. Then we dumped them into Liver of Sulphur to age them. It's hard work, but very worthwhile. Wonderful newer techniques made it easier. Teresa is a great teacher!!! This shot is taken with my phone because it got the least glare. This pendant is also etched and colored with the Liver of Sulphur. The disc earrings are NOT antiqued with the L of S. I left them shiny. Different type of ear wires here and more wire wrapping on both pieces. YOU CANNOT GO WRONG IN TAKING A CLASS HERE!!! The classes are so reasonable and small for all the help you need. Go there if you can! Love what you did with this! I love altering things. G45 is perfect to use. Adding the canvas is genius! Linda...where do I start? OMG...that Graphic 45 Halloween piece is just jaw dropping! Girl...you must sit up nights thinking of this stuff! It's absolutely incredible! I love every little nook and cranny of it! 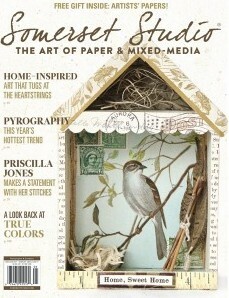 Congrats on the publication in such a cool magazine! I would love to win your extra copy! Fingers crossed. If not, I'll have to go get one...that magazine looks too cool to not have! And, I'd love to see your layout. I also love your art piece donated for breast cancer. A beautiful piece for such a worth cause. Congrats on all of your work!! Fun to see someone I know win. So send me your addresses ladies...and I'll get them out to you next week. Be Well and enjoy this WONDERFUL weather...it's so welcome here. I had sooooooooo much FUN making this project!!! 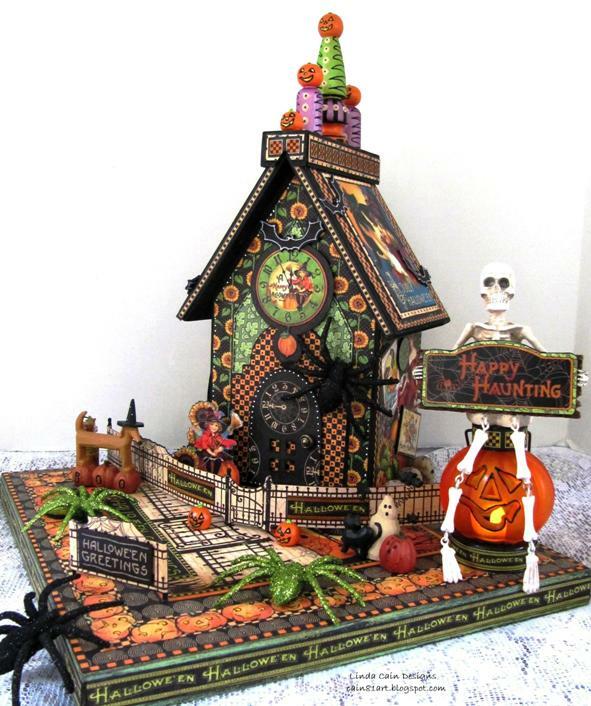 It's got a little bit of everything in it from wooden dolls on the roof to a blinking light-up pumpkin for a skeleton to perch on. This is the front view of the piece. It's on a wooden platform I was going to use to make an encaustic project. This is a birdhouse, of course, with the holes covered up. Strips and layers of paper go on after the house was painted...wait for it...wait for it....BLACK! This is the left side with the skull beads heads plugged up using Liquid Pearls...kind of a reverse lobotomy so to speak. Here's the right side, more layers, chipboard, and all the images have been enhanced with pens. Especially the figures. Add shadows for depth. I found the Pumpkin lantern and little items at Gordman's and the skeleton at Michael's. These are wooden pieces painted with Pumpkin, Key Lime, and Daffodil Liquid Pearls and black pen. 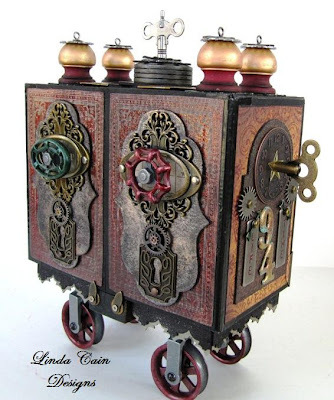 This top piece is made from chipboard that I learned to make at Gentleman Jim's blog here!!! Thanks so much to Jim. I had to make the top ridge flat in order to add the little wooden ghouls. It's nothing compared to what he makes, the man is brilliant I tell ya, but it worked, and for that I am thankful to him! A little vial of Arsenic has Rust Alcohol Ink in it to color. Tim Holtz bats from the Bewitching Hour die are seen here and there cut from chipboard. 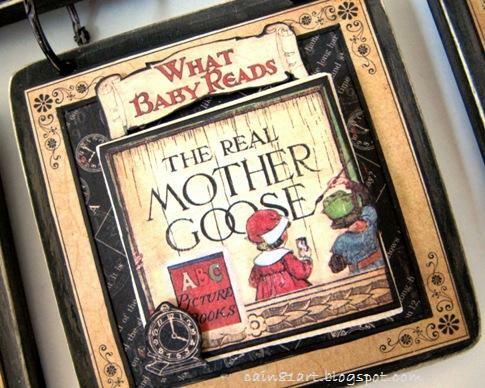 The little toothpicks have holes drilled into the base to hold up the sign. Glittery Spiders add a bit of Glitz! I painted the base with Claudine's Landscape Green Studio paint, then added a black glaze to dull it. Crushed Olive Distress Stickles are added before the Halloween paper strip is inked with green pen and glued. The fence posts are made with Cracker Barrel toothpicks. You can see the cool tops on the one by the lantern best. They really were perfect to hold up the fence. I've added lots of pen to change or add colors to the papers wherever I needed contrast, and dots to fill up space on the front doorway. Otherwise, the Graphic 45 Happy Haunting Paper Collection is what's used here...and one piece from Communique Collection. Their papers are always PERFECT! 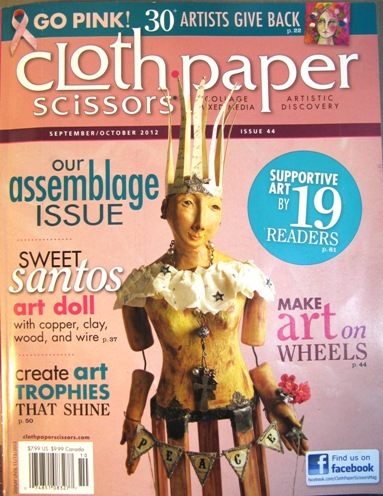 I got my new Cloth Paper Scissors Magazine. Now, I know I'm a bit biased, but this issue is AMAZING...if you love Assemblage Art, it's a must! I'm just sayin' there are some great projects in here that you'll LOVE. 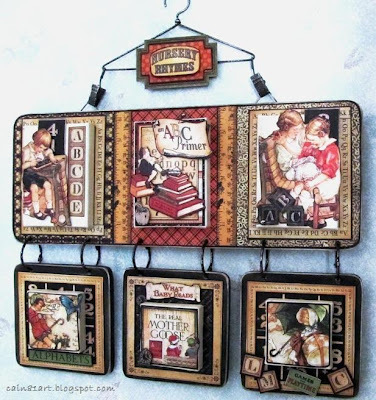 Having said that...I am thrilled to say, I have 5 pages of instructions, pictures, products and tips so you can make a piece like the one below. NEXT, they have 30 Artist's that donated 5x5 and 8x8 works to auction off for the National Breast Cancer Foundation. 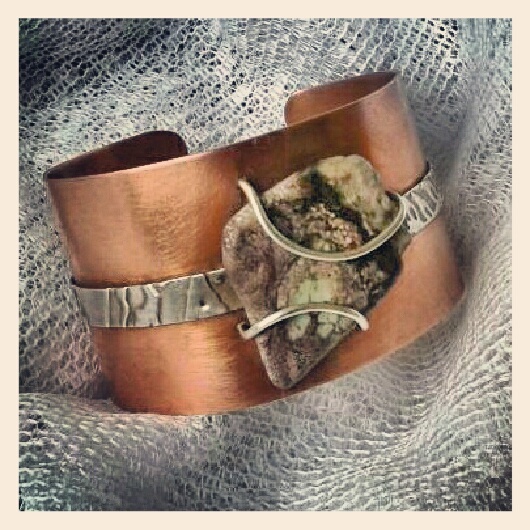 You can purchase them at etsy.com/shop/CPSmagazine later this month. 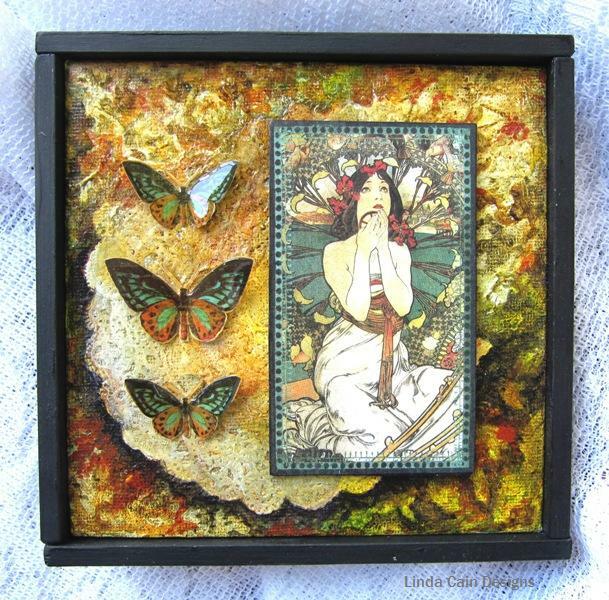 Anyway, mine is a 5x5 roughly framed Acrylics and paper on canvas using images from Graphic 45's Steampunk collection. 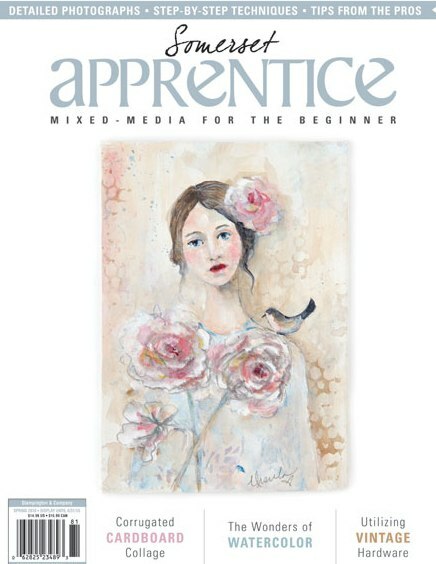 It's pictured in this publication along with lots and lots of other pieces you can have for your very own...while giving to a great cause, as well. SOOOOOOOOOO, since I get a subscription anyway, and they send me more, I think someone out there might want one of these magazines for FREE, too! Just leave a comment, and we'll draw for a winner. 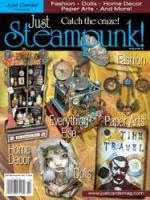 And if you already have subscription, hey, just say so, and we won't put you in the drawing. 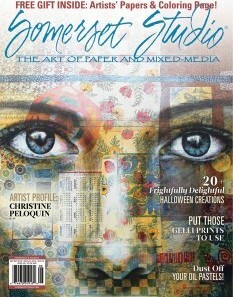 And we'll take comments for a couple more days to win the Ladies' Journal paper pad, too. I bought this wooden wall hanging a few months back at one of my favorite stomping grounds. It just had the small hooks at the top, so I added the hanger section. The hanger is something I've hoarded for years....and today it was there when I needed just a "little bit more" for the top. The papers have been sitting here for quite some time as well, they are in my favorite color combination....Red, Black, and Tan. So here's a bit of a step-out to get you inspired....no stamps...no pen dots...just paper, glue, markers, paint, and some Distress Inks. 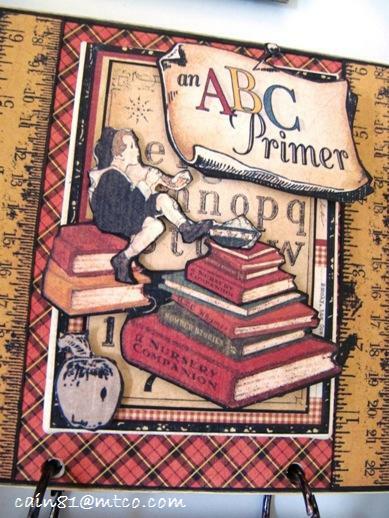 The papers are from the 8x8 paper pad An ABC Primer from Graphic 45. I wanted the background to look like a chalk board..so 2 colors of paint were used and a bit of Golden Acrylic Glaze to thin them down. Then the edges were sanded to distress. Just the beginning of layers and layers of papers and inks. This is the top piece with the rings taken out. Choose your papers, cut, and lay them out. I chose to use 3 different papers here with the rulers and alphabets to frame 2 sides. I used 6 Mini Canvases from Blick's as the center's bases. The fact that they're raised doesn't show much in the rest of the pictures. A glaze of Titan Buff and Burnt Umber toned down the stark white to make them more vintage looking. Tea Dye Distress Ink always makes the colors richer....in my humble opinion. These are the backs of the 3 hanging elements. This boy is my favorite...his coloring is wonderful. Three fussy-cut pieces layered onto the canvas. I add shadows and touches of color here and there with markers. The stack of books needed more height for the boy blowing bubbles...luckily I found another smaller stack in the the papers to add to the top. Other elements are raised with chipboard. Love the rulers contrasting with the red plaid paper. This is one naughty little girl...the one spanking the other one!!! 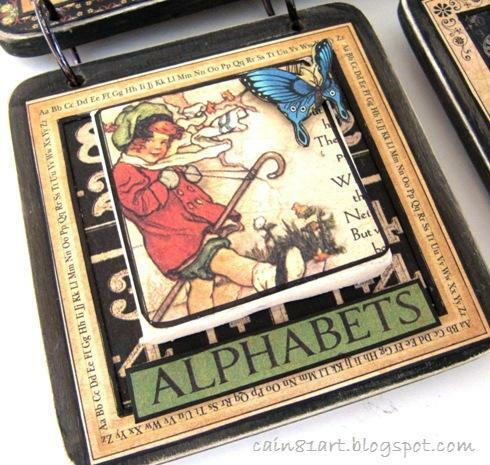 The Alphabet is cut and trimmed to form a frame just the right size for the mini canvas. When using canvases you must remember..they are NOT perfectly square! So just LIVE with it. More CB to add height and another alphabet to make a frame. I needed another element and could not resist the blue butterfly from the Bird Song Collection. 2 more elements...raised with CB for dimension. This sassy little gal is too cute. 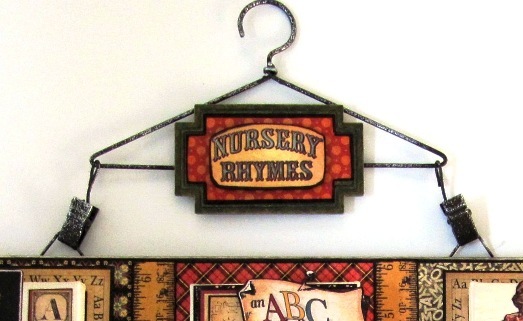 And this shows you the metal hanger with the G45 Metal Tag covered with paper and the Nursery Rhymes sign glued onto it. I needed a "more red" paper for the sign, and just added 2 colors of Distress Ink to make it what I wanted. That's the beauty of DI...you can make paper any color you want! This shows a different angle of the dimension on the piece. The rings were initially silver. I used Alcohol Ink Pitch Black and Metallic Mixative Silver to make it look similar to the hanger. Thanks for stopping by. Let me know what you think....I'll be adding a few more G45 projects in the next few weeks....stop back. Now, I've got a duplicate of.... "A Ladies' Diary" 8x8 paper pad. Leave me a comment, we'll draw and you can have this great set of papers. If you have trouble leaving a comment...as I've heard people are...just click on email link and leave me a comment there to qualify. Sorry for the trouble. hummmmmmm...so many papers....so little time! 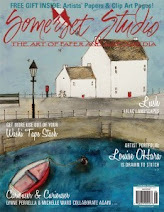 This months Challenge at the Inspiration Journal Blog was Go Fly a Kite. Check it out to win here. So using some Dylusion Spray Inks on Manila Cardstock I began the journey. I added Stencil work with the Chequered Dots and pen work to enhance the background. The Kite itself is on Manila cardstock that has the new Tissue Wrap Melange from Tim on it. I added Distress Inks underneath and on top...and of course some Distress Markers add color to the Moths. The kite string and tail are made using Tim's new Paper String-Solid from Idea-ology. You know the fun part is digging around in your old stamp sets to find something that works with the new. The Umbrella Man from Creative Muse was perfect here, as was the saying. And the tree from Regal Findings was great for some background. Check out the blog and make your contribution...you could win!